October 31st. 1883. I made this receipt for Plum Pudding a 1 lb Pudding it made my largest shape and the 3rd shape. I made it for dear Fathers Birthday for November 6th. 1883. Boil it 5 hours first, and 2 hours to heat it up. Susan Gilbert. Wednesday Morning November 28th./83. Xmas Pudding made and Boiled. Wednesday Morning December 3rd 1884 Xmas Pudding made and Boiled and Mince Meat Finished./ S. Gilbert. 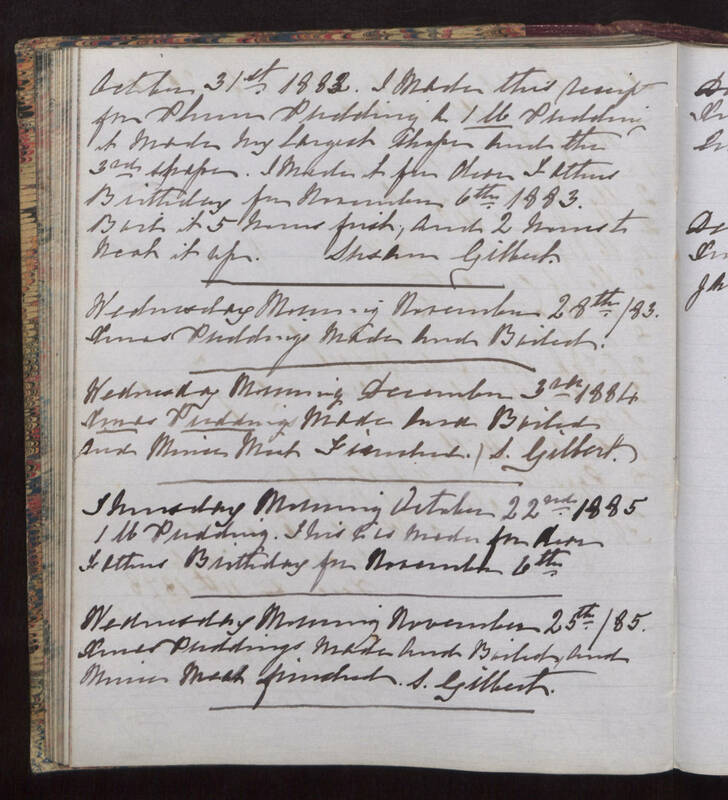 Thursday Morning October 22nd 1885 1 lb Pudding. This is made for dear Fathers Birthday for November 6th. Wednesday Morning November 25th/85 Xmas Puddings made and Boiled, and mince meat finished. S. Gilbert.